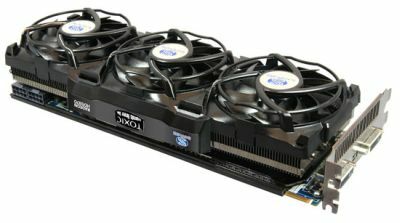 Sapphire has announced that its new graphics monster, the HD 5970 Toxic with 4GB of GDDR5 memory @ 1200MHz (4800MHz effective), should hit the market very soon. 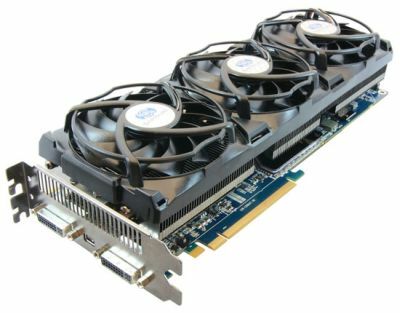 This card is powered by two Cypress GPUs, the same model that boosts the Radeon HD 5870. Each GPU is overclocked at 900MHz (ref=850MHz, see HERE) totalizing 3200 stream processors. This monster requires a lot a power that’s why the board comes with two 8-pin PCI-Express power connectors. This card supports Direct3D 11, OpenGL 4.0 (drivers-dependent of course 😉 ) and OpenCL. A complete review is also available HERE. ATI Radeon HD 5970: Hemlock is the King! I’d stick a potato in my case if it gave me good performance. For example, the drbalthar character above this post. NERD! Don’t like NVIDIA?…DONT BUY IT. Dont like ATI? DONT BUY IT! wow, can you use this one for weight-lifting?